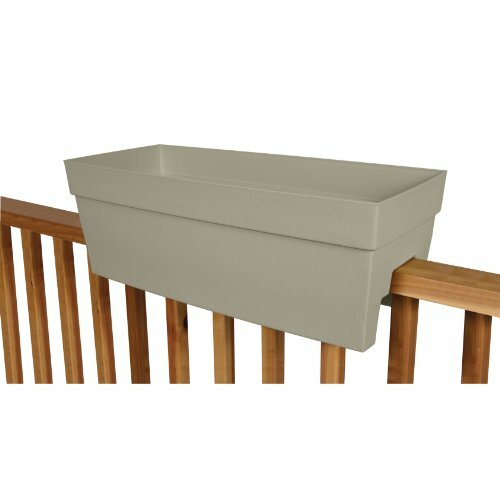 This rail planter has unique textured vertical finish. Overflow protection. Fits on a 2-inch by 4-inch or 2-inch by 6-inch rail. Holds approximately 6.2-gallon. Available in portabella color. Measures 27-inch length by 11-3/4-inch width by 9-1/2-inch height. If you have any questions about this product by DCN Plastic, contact us by completing and submitting the form below. If you are looking for a specif part number, please include it with your message. KINGSO Micro Landscape Ornament Plant Pot Planter Miniature Dollhouse for Fairy House Succulent Plant DIY Home Garden Decor 3.9"x4.7"